Emperor Kōnin (光仁天皇, Kōnin-tennō, November 18, 709 – January 11, 782) was the 49th emperor of Japan, according to the traditional order of succession. Kōnin's reign lasted from 770 to 781. The personal name of Emperor Kōnin (imina) was Shirakabe (白壁) As a son of Imperial Prince Shiki and a grandson of Emperor Tenji, his formal style was Prince Shirakabe. Initially, he was not in line for succession, as Emperor Temmu and his branch held the throne. He married Imperial Princess Ikami, a daughter of Emperor Shōmu, producing a daughter and a son. After his sister in law, Empress Shōtoku (also Empress Kōken), died, he was named her heir. The high courtiers claimed the empress had left her will in a letter in which she had appointed him as her successor. Prior to this, he had been considered a gentle man without political ambition. Kōnin had five wives and seven Imperial sons and daughters. Emperor Kōnin is traditionally venerated at his tomb; the Imperial Household Agency designates Tahara no Higashi no Misasagi (田原東陵?, Tahara no Higashi Imperial Mausoleum) , in Nara, Nara, as the location of Kōnin's mausoleum. September 8, 769 (Jingo-keiun 3, 4th day of the 8th month): In the 5th year of Empress Shōtoku's reign, she died; she is said to have written a letter designating Senior Counselor Prince Shirakabe as her heir and crown prince. August 28, 770 (Jingo-keiun 4, 4th day of the 8th month): Exactly one (Japanese era-based) year later, the succession (senso) was received by Kōnin, who was the 62-year-old grandson of Emperor Tenji. 781 (Ten'ō 1, 4th month): The emperor abdicated in favor of his son Yamabe, who became Emperor Kammu. 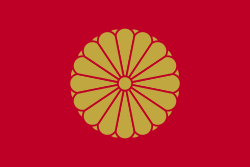 Emperor Kōnin's reign had lasted for 11 years. 781 (Ten'ō 1, 12th month): Kōnin died at the age of 73. Kōnin attempted to reconstruct the state finance and administrative organizations, which had been corrupted under the reign of Empress Kōken. Soon after his enthronement in 770 (Hōki 1), he promoted his wife Imperial Princess Ikami to the empress and appointed her son Imperial Prince Osabe to the crown prince in the next year. As a grandson of Emperor Shomu by his mother, Osabe was one of few descendants of Emperor Temmu, the line of Temmu however didn't success to the throne finally. In 772 Osabe was deprived of his crown prince rank and Imperial Prince Yamabe, an issue by another woman, later Emperor Kammu was named heir. According to the Shoku Nihongi (続日本紀), the replacement happened as follows: in the third month of Hōki 3 (772), Ikami was accused of cursing her husband and Emperor Kōnin stripped her of the rank of Empress. In the fifth month of this year his son Osabe was deprived his crown prince status. In Hōki 4 (773), both were alleged to have murdered Imperial Princess Naniwa, a sister of Kōnin by cursing. This allegation made those two stripped of the rank of royals. Those two were together enclosed in a house in Yamato Province and died two years later in the same day, on the 27th day of the fourth month of Hōki 6 (in Julian Calendar, on May 29, 775). In 772, soon after Osabe's deprivation of heir right, Prince Yamabe was named heir. His mother Takano no Niigasa, née Yamato no Niigasa, was a descendant of King Muryeong of Baekje. Since her clan had then no political power, his appointment had not been likely to happen without the deprivation of Osabe, the noblest male issue of Konin as the son of an Imperial Princess and Empress. Today it is pointed out the accusations to Ikami and Osada were likely to be plotted for depriving her son of the throne, and they were likely to be assassinated, by Fujiwara no Momokawa. The late years of Konin reign and the early years of Kammu reign suffered disasters respectively. The contemporary people took those disasters as vengeance of noble victims of political conflicts, including late Ikami and Osada. In 800 during the reign of Kammu, the late Princess Ikami was restored into the rank of Empress. Several shrines and temples were also founded for redemption, including Kamigoryo Shrine (ja:上御霊神社). Sadaijin, Fujiwara no Nagate (藤原永手) (714–771),　766–771. Sadaijin, Fujiwara no Uona (藤原魚名) (721–783),　781–782. Udaijin, Ōnakatomi Kiyomaro (大中臣清麿) (702–788), 771–781. Naidaijin, Fujiwara no Yoshitsugu (藤原良継) (716–777), 771–777. Sangi, Fujiwara no Momokawa (藤原百川), 732–779. ↑ Brown and Ishida, p. 276, Varley p. 149. 1 2 3 4 5 6 7 Brown and Ishida, p. 277. ↑ Brown and Ishida, pp. 276–277. ↑ Brown and Ishida, p. 276; Varley, p. 44, 148; a distinct act of senso is unrecognized prior to Emperor Tenji; and all sovereigns except Jitō, Yōzei, Go-Toba, and Fushimi have senso and sokui in the same year until the reign of Emperor Go-Murakami. ↑ Titsingh, p. 81; Brown and Ishida, p. 277; Varley, p. 44, 148. ↑ Brown and Ishida, p. 277; Varley, p. 148. ↑ Titsingh, p. 81; Brown and Ishida, p. 277. Imperial Household Agency (2004). 光仁天皇 田原東陵 [Emperor Kōnin, Tahara no Higashi Imperial Mausoleum] (in Japanese). Retrieved February 4, 2011.